Braithwaite, Dennis. “Hacked out by Simcoe Yonge still remains ‘York’s’ Main Street.” In Toronto Daily Star, Oct. 19, 1954, p.35. Illus. North York. Historical outline of the administration of the Borough of North York. North York, Public Information Office, 1971. Varying editions. Illus. Kilbourn, William. “Trees grew on Yonge St. in Simcoe’s Toronto.” In Toronto Star, Aug. 2, 1975, p. B5. Illus. Bull, Stewart. 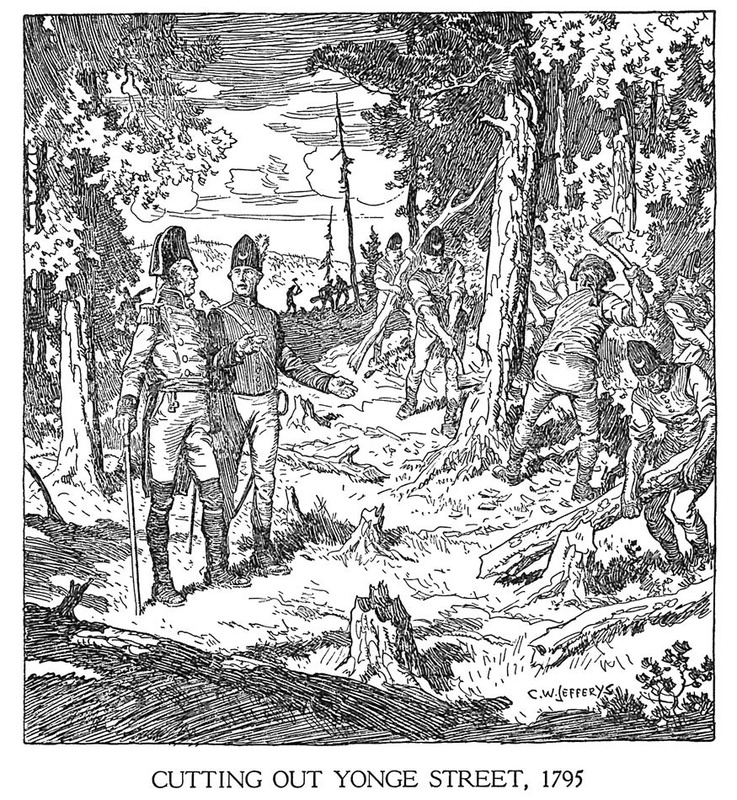 “Simcoe’s legacy: Ontario, Toronto, and the Queen’s Rangers.” In Canadian Collector, May/June 1984, p. 19-23. Illus. Blazing a road to grandeur: North York’s Yonge Street communities. North York, Parks and Recreation Dept., 1996. 38 p. Illus. Fleming, R.B. “Yonge at 200.” In The Beaver, Aug.-Sept. 1996, p. 29-33. Illus. From cart road to high road: the history of Yonge Street. North York, Ont., Parks& Recreation Dept. , n.d. folder. Illus. Historic Toronto: a look at the history of the Corporation of the City of Toronto. Toronto, Dept. of the City Clerk, 19? 16 p. Illus. “1793 Aitken: Plan of York Harbour Surveyed by Order of Lt. Gov. 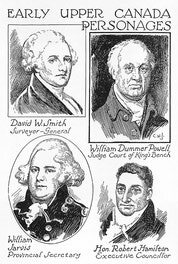 Simcoe.” Accessed February 9, 2017. http://oldtorontomaps.blogspot.com/2013/01/1793-aitken-plan-of-york-harbour.html. “Early Days in Richmond Hill: A History of the Community to 1930 : Electronic Edition. : The Road through Richmond Hill.” Accessed February 9, 2017. http://edrh.rhpl.richmondhill.on.ca/default.asp?ID=s1.1. 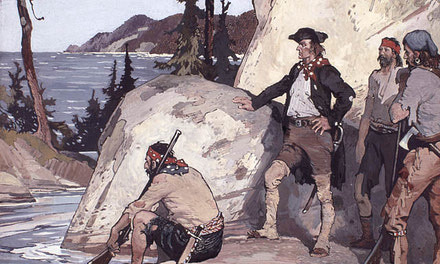 Establishment of Toronto by Govenor Simcoe. Curator: Dennis Reid, Art Gallery of Ontario; Toronto, Ontario; 1993.07.30-1993.09.26. Note that the costumes and hair-dressing of Smith and Jarvis are of an earlier date than those of Powell and Hamilton: the former wear wigs, the latter their own hair.